There is a brand a new social media marketing movie that just launched. It features: Jay Baer, Michael Stelzner, Brenda Ster, Joel Comm, Mari Smith, Sue Zimmerman, Leslie Samuel, Sunny Lenarduzzi, Viveka von Rosen and Amy Landino. If you don’t know these people could write an encyclopedia about social media marketing. The thing is they wouldn’t want to as it changes constantly. It would be like putting an Anaconda into a tube! But John Lincoln decided that although things morph very quickly it’s always worth creating content that discusses what is happening in social media marketing right now. I say, you might as well use what’s trending when it’s trending. I mean, why wait? When I watched the first movie it I felt it really did make me reappraise just what I had been doing. I reconsidered what I was advising to my clients and generally give my strategies an overhaul. Having watched the second movie it’s given me the opportunity to once again think hard about what I know, what I don’t and what happens next. 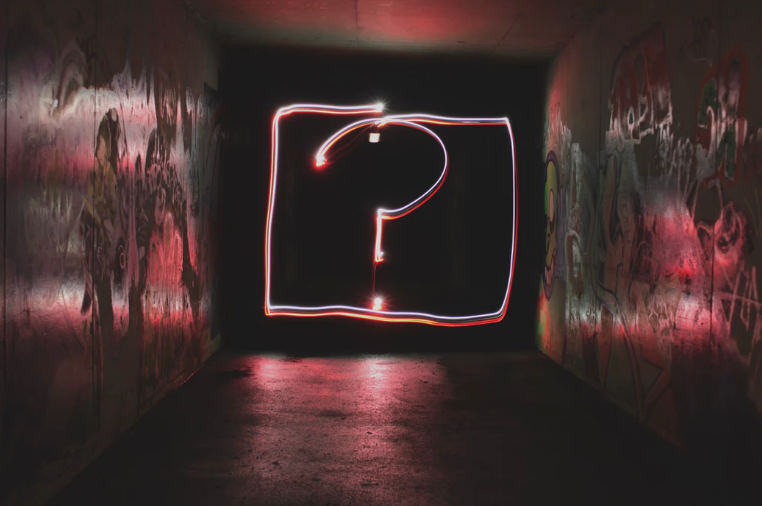 Social media marketing what’s next for 2019? 1.Is social media marketing right for all businesses? How do you get a huge return on all the social media marketing efforts? What are businesses doing that are getting the biggest return right now? 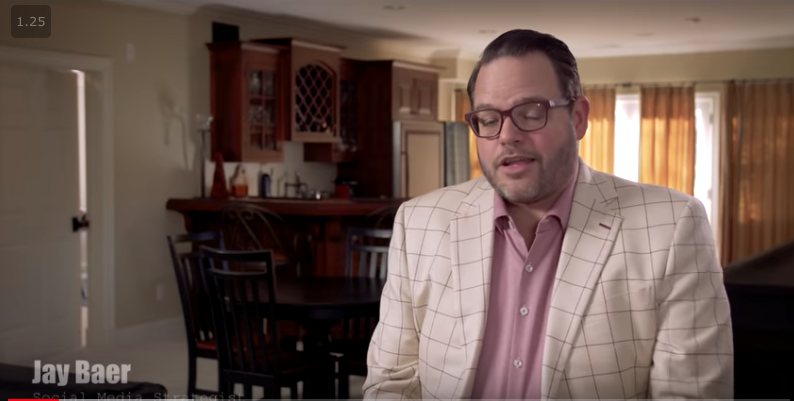 So I was delighted that one of my ‘go to’ experts Jay Baer opened the new social media marketing movie. I love his honest approach to social media marketing. He tends to say things just as they are with no bull. So I was super pleased to see he was the first expert to speak. As usual he had much to say about social media marketing. After all he has been working in this niche for 25 years – wow, that’s almost pre-dinosaur territory! What does Jay Baer think about social media marketing developments? How can we improve what we are doing? Jay has seen smm develop from the time when domain names were actually free; imagine that! He remembers how early social spaces such as My Space came and went. He commented how it’s so important to have a critical mass of early adopters that can convince people a new piece of tech is the way to go. Myspace et al were basically too quick off the blocks – like da Vinci’s, some of the ideas were never going to be adopted at a particular point. It takes time for people to buy in. I remember feeling incredibly excited by the democratic nature of smm. We could say it, design it, publish it and could compete on a level playing field. Of course that was never going to last. I mean, just imagine the server space bill FaceBook must have every month. It’s mind blowing. Our user expectations are so high and we forget just how much goes on in the back end. You try develop a platform that allows the kind of functionality we expect from FB. Can you imagine the cost and staffing involved and of course the increasing responsibility? I don’t say this as a fan, I’m just saying! Gary Vaynerchuck gives you some FB advertising help here if you are struggling. But things changed as we knew they would. Suddenly there were howls of pain from the social media hounds that had enjoyed playing for free in the park. Now FB wants to protect its position in the commercial world after such massive investment. It’s taken some significant knocks too. Therefore it’s going to preserve its position in any way it can. So it does absolutely everything to squeeze out the competition while making businesses squeak like crazy with its FB marketing bills. Begins with customer service and utilise the parts of sm that you have a passion for. Ask yourself which one do I like best. Start right here or choose a brand new social media platform. The key point is to make better content. That way people will react more favourably and more often. Be active on sm after all it is the new Yellow Pages. Each business should focus on what customers want and not what’s good for the business. People don’t naturally love the fact businesses are no social media and therefore it’s important to be more lovable as a consequence. Probably the most dynamic advice here is the suggestion to imagine you are a TV station. Programmes go out at the same time every day or week. They have the same branding and titles. We know what to expect and they communicate with their target audience. They watch their ratings, where they are in the schedule, what feedback there is and they become a part of their audience’s lives. We should be aiming to do just that. I will examine the rest of the movie in another post, so be sure to check back. Why not subscribe and we can be friends and business allies lol! Vivienne Neale is a social media marketing consultant, writer and researcher. She is currently working with Doncaster Council, NHS RDASH, Access, Doncaster Heritage & Leisure and others. You can catch Vivienne on LinkedIn if you fancy a chat about smm in 2019.